This image shows two hair follicles and a sweat gland in the skin, surrounded by fibrous connective tissue of the dermis. Sweat glands typically appear as clusters of several round or oval profiles, as shown here. Each profile represents a section across the twisted tubule which comprises the gland. 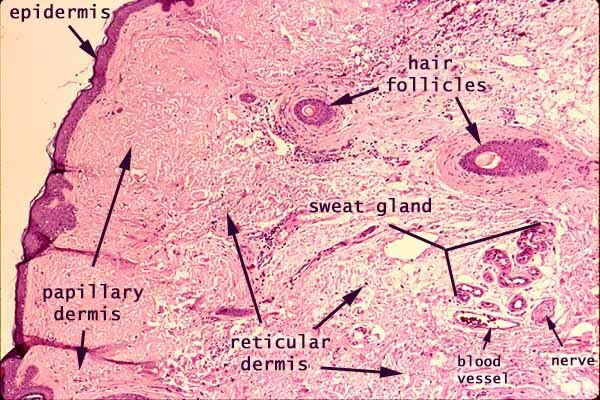 For an enlarged view of the sweat gland, click here or on the thumbnail at right.